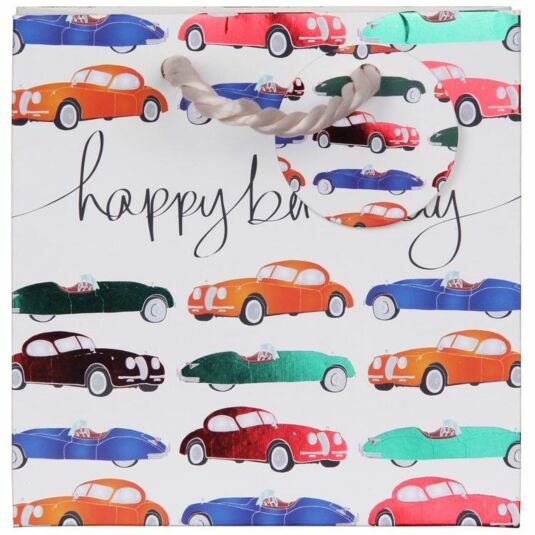 This small gift bag is perfect for anyone who loves vintage cars and bold design. 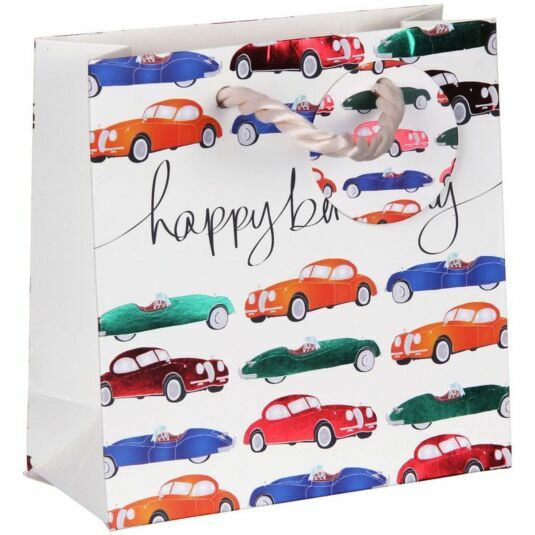 The words Happy Birthday in an elegant script are displayed across the bag, and rows of brightly coloured vintage sports cars in bright shades of yellow, red, blue and green are featured above and below the wording. A matching label is attached to the light rope handle.